I always use bando. The thing is the best. The quality is very good. It will last long. This review is about item#35039986. This review is about item#35039961. 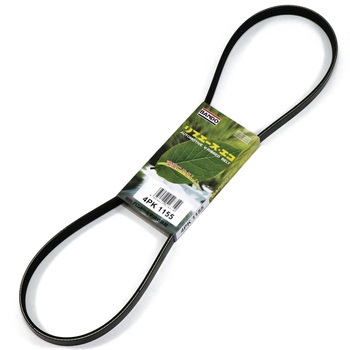 The cracked belt at Busa Sa is exciting, so don't hesitate to replace important parts with new ones. This review is about item#35040354. The product is good and the cost is good, so we are happy to use it. This review is about item#35040056. Anyway, the price is cheap and I buy it. Since the current car was using "Bandoo chemistry", select this. As I have not used it yet, I do not know "Scribbles" or "Durability". Still, it is this price, so if you do something, you will not be bothered if you replace it frequently. Because it is a consumable item. This review is about item#35040537. It is quite good product, I think that COSPA is good at this price with this quality. I arrived immediately after placing an order. This review is about item#35040275. I think that things are good. Why should we relax and re-tension once? This review is about item#35040941. When belt replacement belt belt is wrapped around the entire circumference, it will exhibit stable function when wearing the machine. We recommend simultaneous use with belt wax. This review is about item#35040241. Vehicle inspection and maintenance etc. Since it is a low price, I bought it. For now it is using it without problems. This review is about item#35039855. It was as good as any genuine part, it could be used without problem. The price is quite cheap, and it is a little early as it is one to two days from ordering to delivery. This review is about item#35041282. I was able to exchange without problems. I think that hands are good as it is cheap. This review is about item#35040625. The price was reasonable and there was no problem in quality either. As time has not passed yet, I do not see the problem, but I think whether it is a good product. BMW motorcycle boxer I used it as an alternator belt of a twin engine. It made us feel safe and affordable in Japan, actually wearing it, tension adjustment without any complaints at ease. This review is about item#35039751. This review is about item#35040187. I am using it without problems, I have various parts but I like it. This review is about item#35040144. We can save reliable manufacturers cheaply and are saved. This review is about item#35040266. It is cheaper than genuine, when you exchange belts with genuine quality, you often choose a belt of Bando. Because the unit price is also cheap, those who exchanged after something can ride with confidence. This review is about item#35040092. Because it was cheap and things were also good, I was satisfied with satisfaction We will purchase again. This review is about item#35039934. We exchanged together when changing the water pump. It is made in Japan and it is safe. This review is about item#35041002. I was worried about Mitsuboshi Belto, but it was made by Bando Chemical Co., Ltd. which is genuine installed in the jb 23w - 6 type, so I made it here.